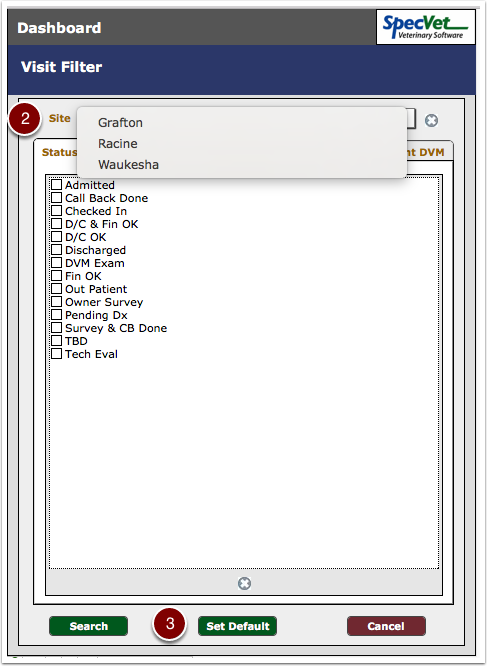 For hospitals with multiple site locations SpecVet has the ability to select your specific site as your default location. 1. 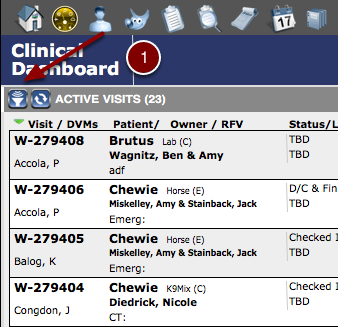 From the Clinical Dashboard select the filter navigation button in the top left corner of the screen. A second window will appear listed "Visit Filter". 2. You will select your Site location by clicking in the "Site" box at the top of the screen and choose your current location. Select the GREEN "Set Default" button in the center of the bottom screen to complete.